The Supreme Court on Wednesday appointed a curator to look after the Rs 90,000 crore treasure found at the Sri Padmanabhaswamy temple in Thiruvananthapuram, Kerala. Speculations have been rife on the eventual fate of the wealth -- whether it will be used for charitable purposes or remain with the temple authorities. The law in such cases stipulates that only the temple deity has a 'right' over this wealth. As per Indian laws, a temple deity is considered to be a juristic person. A juristic or a legal person is entitled to the wealth it has been given and can even fight a legal battle to keep it. 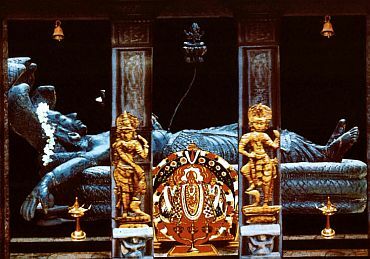 Padmanabhaswamy, an incarnation of Lord Vishnu, is the presiding deity at the temple. According to Advocate General of Karnataka Ashok Harnahalli, "All this wealth belongs to the deity since it has been given in the name of the idol. Some people have demanded that this wealth be used for public good. But this is not possible as per the law. If ornaments and other treasure had been given to the temple, it is in the name of the deity which has sole right over it". Speaking on the cash amount given to the temple, he said, "In case the temple administration decides to convert all these assets into cash, then the money can be used only for the development of the temple in which the deity is placed". As per earlier verdicts by the Supreme Court, a deity has legal jurisdiction and is capable of owning property. If anyone stakes a claim on the wealth which belongs to the deity, then it can fight a legal battle for its rights. But a deity is always represented by a guardian who should ideally be a member of the trust or the temple. 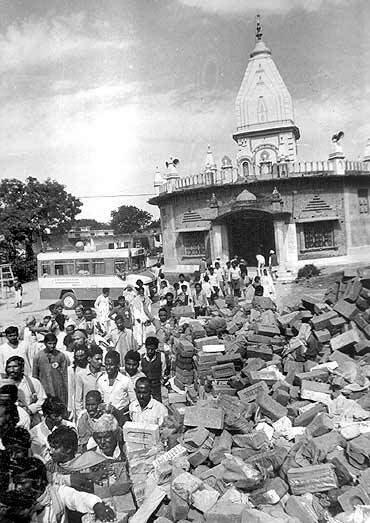 In the much-hyped Ayodhya verdict, Ram Lalla or the deity at the makeshift temple at the controversial site was one of the litigants. The title deed of any temple in India is in the name of the deity and hence it becomes a party to the suit. According to the Supreme Court of India, a deity is a being both real and imaginary to whom the law attributes a personality by way of fiction when there is none in fact. The Supreme Court further adds that a legal person or a juristic person is any entity other than human beings to which the law attributes a personality. The words 'juristic person' connote the recognition of an entity to be a person in law which otherwise it is not. In other words, it is not a natural person but an artificially created person which is to be recognised in law as such. The Supreme Court adds that a juristic person is a holder of rights and duties and can own and dispose of property, receive gifts, sue and be sued. A Hindu idol is recognised by courts as a juristic entity with a judicial status, and its interests are attended to by a person who is in charge of the deity and who under law is its guardian or manager. If the Kerala government wants to use this wealth for the public good, it would have to fight a legal battle in the Supreme Court and challenge the existing set of laws regarding the ownership rights of a deity. 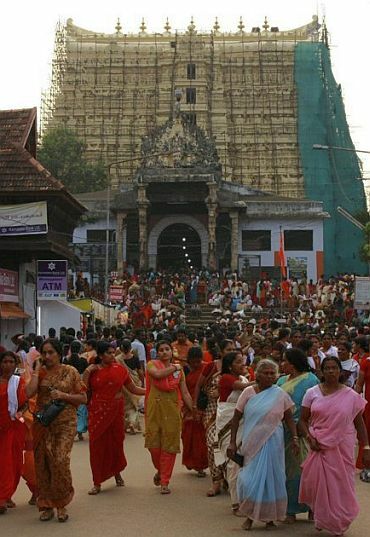 Rs 90000 CRORE: Value of Kerala temple treasure! Rs 90000 cr in Padmanabhaswamy temple. What next?